Flat Storage: The origin of the flat storage system is bas ed on the availability of old and unused warehouses at many ports and harbours. 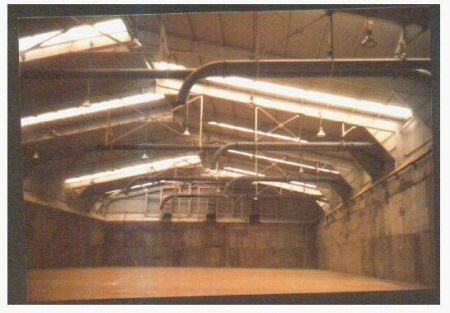 Such warehouses are converted into waterproof and airtight enclosures and the cement is pumped in from the ship either through pneumatic ship unloaders, self unloading ships or bulkers. 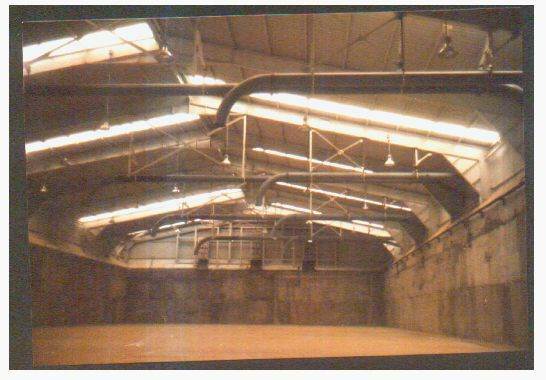 The flat store is a low cost option to building large and expensive cylindrical silos which also take time to build.Scorpio’s Flat Storage system at Galle Port in Sri Lanka handles 15000 tonnes of two varieties of cement. Transport by bulk is now becoming increasingly the primary mode of cement distribution. Cement at the plant is generally stored in silos from where the cement leaves the plant either in bags or in bulk.Bagged movement will require bagging machines, truck loading conveyors etc. 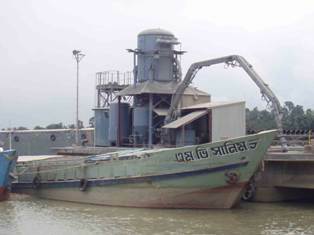 while bulk movement is generally done through enclosed bulk tankers which are pressure vessels.Currently, a number of cement companies are moving cement in bulk through such bulk tankers but the costs are not working out to be economical considering the low unit volumes due to poor road conditions and empty returns. Many cement companies are concerned about the unviable cost of transportation of cement in bulk tankers on Indian roads because of these reasons. 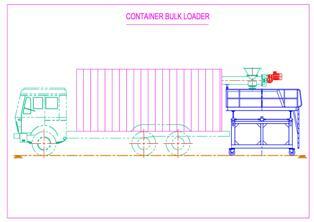 One low cost option lies in the use of linered containers. This involves the use of standard 20-foot containers available from container leasing companies or from private operators. A heavy-duty fluidizable polythene liner is inserted into these containers.These liners have their own bulkhead fillings which enable filling and unloading of the cement into the linered container through suitable spouts. At the destination, the container has to be tilted for the cement to flow out of another spout at the bottom of the bulkhead.The cement is then pumped pneumatically in a closed environment to adjoining silos. This system is also applicable to all dry free flowing bulk powders. 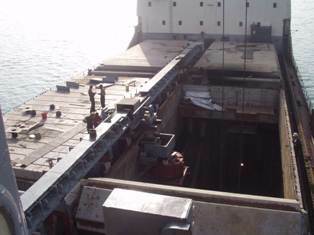 Self Unloading Barges and Ships: In addit ion to such container movement, Scorpio also offers retrofits of barges to convert them to self unloaders using aerated holds and dense phase pneumatic evacuation to far silos at the Port. Pneumatic Ship Unloaders: To unload MBCs (mini bulk carriers) that are general purpose barges, Scorpio offers self contained trailer mounted or skid mounted pneumatic ship unloaders. A hydraulic articulated boom is inserted into the open holds of the ship and the cement is sucked out into twin pressure vessels on the unloader chassis. Compressed air is used to pump the cement from these pressure vessels to far silos which are fitted with their own filters.